Laura qualified with the firm with ACA, BSc Hons (Dunelm) and is in charge of ensuring that the staff members needs are met, including training and HR issues. 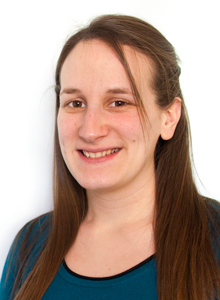 Laura manages a wide range of clients from sole traders to much larger businesses. My greatest achievement is bringing my two boys into the world – I couldn’t be more proud. I’ve always wanted to work in a bank because I used to love counting money when I was little. My wedding day is my best memory because everything was just perfect. Corsica – it looks so beautiful and it’s definitely on my list of places to visit! To speak a foreign language fluently. I’ve travelled to France a lot and always wished I could do more than just get by.